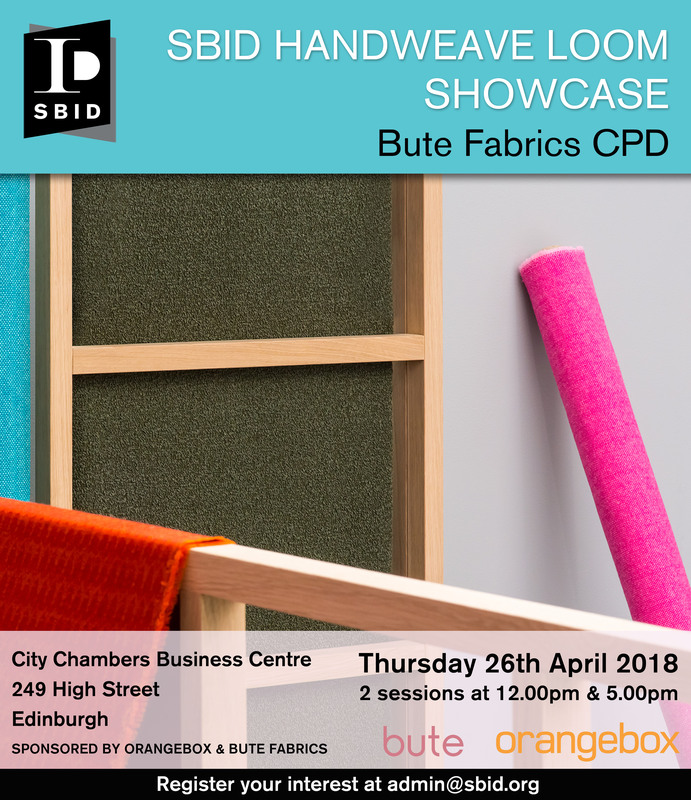 The SBID Handweave Loom Showcase is a Scotland Regional event sponsored by Bute Fabrics and Orangebox. Responsible textile manufacturer, Bute Fabrics, work tirelessly to make sure their textiles always enhance an environment as well as maintain the highest level of quality and performance, with some of the most technically advanced woollen fabrics in the industry. Showcasing their traditional hand-weaving technique with a live demonstration, the event will give guests the opportunity to attend a CPD on Bute Fabrics learning about the design process. The CPD will be led by Bute’s UK Contract Sales Director, Cat Hemingway with a live weaving session by their resident designer and colourist Rachel Evison. Guests will be invited to join in and try out the craft for themselves whilst sampling some tasty delights from the small isle of Bute. The event will consists of multiple sessions at 12:00pm and 5:00pm in Edinburgh, Scotland on 26th April 2018.